When Kameron moves to his grandma’s sheep camp on the Navajo Reservation, he leaves behind his cell phone reception and his friends. The young boy’s world becomes even stranger when Kameron takes the sheep out to the local windmill and meets an old storyteller. 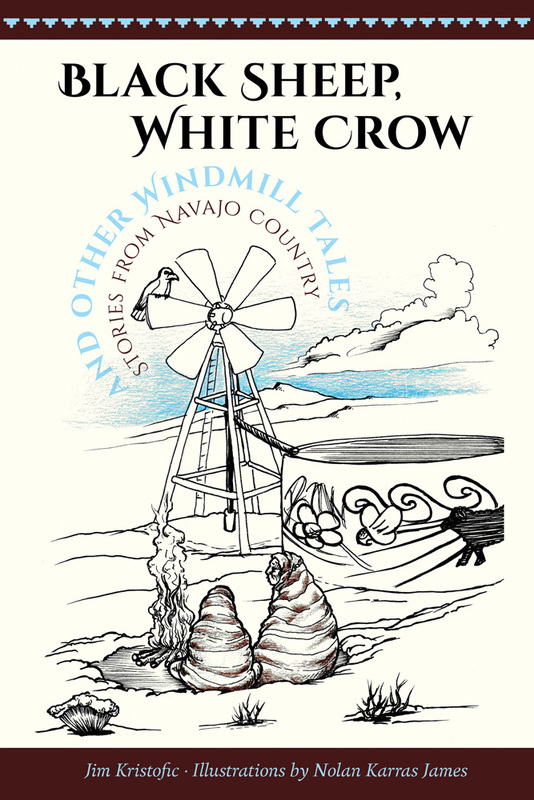 As the seasons turn, the old man weaves eight tales that teach the deeper story of the Diné country and the Diné people. Jim Kristofic has worked on and off the “Rez” for more than ten years as a river guide, ranch hand, journalist, park ranger, and oral historian. He is the author of The Hero Twins: A Navajo-English Story of the Monster Slayers and Navajos Wear Nikes: A Reservation Life, both published by UNM Press. He currently teaches in northern New Mexico. Nolan Karras James is an artist, songwriter, powwow dancer, guitarist, and former rodeo cowboy from Pinon, Arizona. His father is Many Goats Clan and his mother is Apache.